When in 1989 we began to research the history of the dolphin’s interactions with people, the origins were already shrouded in myth and controversy. 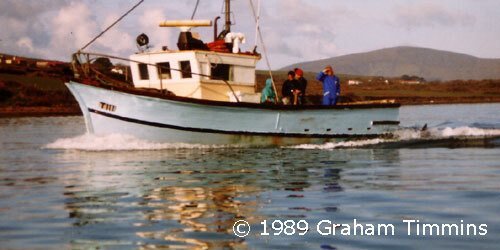 At that time there was much more local fishing activity around Dingle. The trawlers were much smaller and didn’t go as far out to sea or stay out so long, and the large gill netters and long liners hadn’t come in yet. There were many more small half-deckers setting lobster pots and fishing crayfish around the rocky coastline and thus there was much more activity that might be of interest to a nosy dolphin. 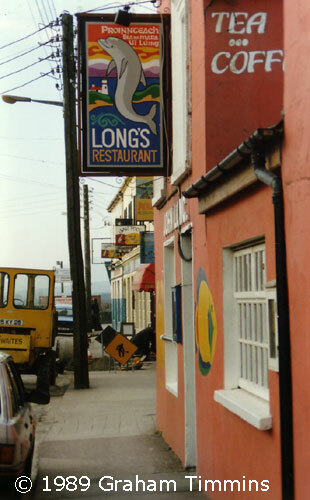 As a result, every Dingle fishermen of that era has a few tales to tell about the dolphin, some of which are re-told in Seán Mannion’s 1991 book ‘Fungie – Ireland’s friendly dolphin’ (Brandon Press) and in Ronnie Fitzgibbon’s ‘The Dingle Dolphin’ (1988, out of print). Unfortunately these kind of stories tend to grow and interbreed in the telling and many published reports were collected in the pubs near the pier, so to be frank it is hard to evaluate their authenticity. As interest grew in the dolphin, reporters and TV crews began to arrive in town. In the time-honoured tradition of journalistic research, drinks were bought and stories were exchanged, and perhaps the desire of certain local characters to please and entertain the visitors combined with the natural gullibility of some urban newshounds to produce some of the sillier stories we have seen reproduced in the media. In general we would favour the earliest sources, when there was less hype around, but we also have to take into account the general level of ignorance and false assumptions about marine animals at that time. A common fallacy we have encountered is that people who spend all their working lives on the sea are therefore knowledgeable about marine life. On the contrary, it seems that if untrained observers of whatever profession lack a frame of reference with which to interpret their observations, then these may need to be evaluated very carefully. Even today, many perfectly intelligent fishermen, including those few who take an interest in marine animals and report sightings to irishdolphins.com or the Irish Whale and Dolphin Group, tend to confuse such very different animals as porpoises and bottlenose dolphins, for example, and may be unable to recall the simple and clear details of appearance and behaviour which would easily distinguish the one from the other. (In the same way, cetacean watchers such as ourselves might have no clue about identifying different species of fish which would be obvious at a glance to a fisherman.) It’s also apparent that all of our memories are strongly affected by what we would like to have seen or think we should have seen. We mention these factors to explain our caution in accepting at face value even clear reports from sincere and credible eye witnesses, not to cast aspersions on anyone. If we do accept every word of the earliest accounts, then they are describing a very different dolphin, with a much more dramatic and exotic range of behaviour, from the one we first encountered personally in 1989. For example, he is said to have helped lobster fishermen to pull up their pots, to have repeatedly caught and thrown fish into open boats, to have retrieved lost diving gear and to have taken children for rides on his back. The fact that since 1989 none of us dolphin followers has ever witnessed any of these behaviours has added to our scepticism about some of the early dolphin stories. Recent experience with other interactive dolphins in Irish waters, however, has led us to re-evaluate some apparently implausible stories, as these dolphins have indeed exhibited many of the extraordinary behaviours reported from the early days in Dingle –albeit nothing quite as dramatic as the examples above (see Dony and Dusty behaviour pages). Thus it may well be that in the very early days, the Dingle dolphin did indeed allow much closer physical contact than he has done since. Be that as it may, two of the first to swim with him were certainly John O’Connor and Ronnie Fitzgibbon, experienced sub-aqua divers from Dingle and Tralee respectively, who enjoyed numerous diving and snorkelling sessions with the dolphin from 1984 through to about 1987. John and his daughter Niamh remember their first encounters with the dolphin off Bínn Bán beach in April 1984. 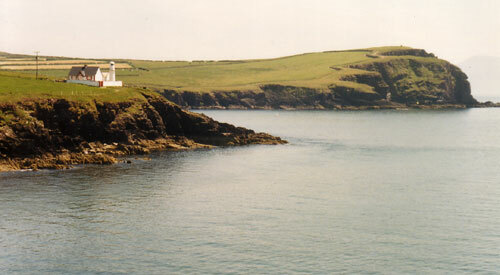 The former lighthouse keeper Paddy Ferriter apparently suggested that the dolphin had been hanging around and following fishing boats off and on throughout the previous winter. The earliest possible arrival date we have heard mooted is October 1983. Paddy was a keen observer of goings-on at the mouth of the harbour and we believe him to be a reliable witness. However it is not impossible that several different dolphins could have visited Dingle, as subsequent events have demonstrated. For this reason the testimonies of swimmers are crucial and indispensable, as no two dolphins look alike when you have been up close to them underwater and can see the patterns of scarring on their skin. The Dingle dolphin also has a very distinctive nick in his tail fluke which is not visible from above water. John and Ronnie, as experienced divers and snorkellers, would have known that they were dealing with the same dolphin in subsequent sessions with him, although at first Fungie and the divers were all wary of coming too close to each other. From the summer of 1986 onwards we also have detailed reports from Sheila Stokes and Brian Holmes, also divers and snorkellers who frequently visited from Cork, and who have laid claim to being the first people to take an interest in building up a close personal relationship with the dolphin. They swam with the dolphin many times before he started to approach them close enough to touch, but they were then able to enjoy a very consistent level of interaction over a period of up to 3 years and Brian took many impressive photographs during this time. If John O’Connor and his family were the first to swim with the dolphin, as we believe to be the case, it seems that the dolphin was initially interested in human swimmers and divers, but cautious. It may be that this process was repeated with each new arrival so that every new swimmer believed that they were personally ‘taming’ a previously wild animal. Ronnie Fitzgibbon reports many remarkable interactions in his book, but it is not at all clear what the sequence or context of these different behaviours was. Apparently when the initial caution was overcome, a period of interaction began with the author of an intensity and variety which has never been repeated in later years or with other people. However we can safely say that during the first two or three years, the dolphin seems to have welcomed close physical contact, with plenty of touching and scratching. There is photographic evidence for this in Ronnie’s book, although the photos, many by Ronan Quinlan and others by Ronnie himself, appear to date from 1987, the same year that Sheila and Brian started to get good photos. According to Ronnie, children were regularly able to hold on to the dolphin and were even taken for rides on his back, although we have seen no photos of this and cannot identify any of the children concerned. Less controversially, the dolphin would investigate people by prodding with his beak as well as audibly using his sonar, and would mouth both human limbs and strange objects such as scuba tanks, just like Dony and Dusty have done in 2000 - 2002. At times Fungie would bring fish to people and even drop them into their boats – up to 22 pollack in one session with Ronnie, apparently. The dolphin is also reported to have carried and retrieved other objects, such as a lost diving mask. All the initial interactions were either with divers from local clubs – who had the necessary wetsuits and equipment – or, in summer, with local people out swimming from the beaches at Slaidín and Bínn Bán. Gradually through personal contacts, others came to visit and these included divers who worked in the media. In July 1987 the first major newspaper article, by Ronan Quinlan, was published in the (now defunct)Irish weekly paper the Sunday Press with a half-page photo. 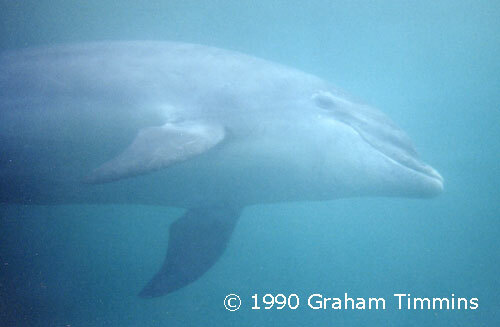 In the autumn of 1987 the dolphin made a couple of appearances on Irish television. Aonghus MacAnally did a feature on his swim with the dolphin for RTE’s "Evening Extra" programme and renowned wildlife film maker Gerrit van Gelderen mentioned him in "To the Waters and the Wild". By 1988, international attention had been aroused and English dolphin enthusiast Horace Dobbs’ film "The Dolphin’s Touch" was aired on ITV in the UK to an audience of millions. The film was more of a vehicle for Dobbs’ theories about dolphin healing than a documentary as such, but it was the first to set the Dingle dolphin in the context of other interactive dolphins, which Dobbs had already encountered elsewhere in the British Isles and in France. It would be followed over the next two or three years by short features from many TV crews from all over Europe and the world, which would eventually bring thousands of tourists to Dingle to see the dolphin for themselves. By the time we first came to Dingle in 1989, the dolphin was still curious and keen to interact with swimmers, but was not exhibiting the kind of behaviour reported in Ronnie’s book. Sheila Stokes at this time only visited Dingle occasionally, but when she did, the dolphin clearly recognised her with enthusiasm and would generally devote all his attention to her, whatever else was going on at the time and whoever of his more recent playmates was in the water. Of all the people who swam with the dolphin, she was the only one he consistently and regularly allowed to touch him, and his behaviour in this respect was quite different with her than with others. Whereas with almost all other people he liked to play with, the dolphin would swim around them in various more or less active patterns of play and interaction, with Sheila he would often lie quite still in the water while she rubbed him on the chest, belly, chin and pectoral fins. Sheila always wore ribbed orange goalkeepers’ gloves rather than the neoprene ones most of us used, but it was neither the colour or the texture of the gloves alones which appealed to the dolphin, as we found out when we tried to imitate her! Typical behaviour at this time was for the dolphin to approach a novice swimmer from an unexpected direction, often without being observed. Those who failed to put their heads in the water often didn’t know he was there, whilst those watching from the shore or boat could see him easily and would be calling out to the swimmer, pantomime-fashion, “He’s behind you!”. If he liked someone, was in the right mood or was interested in their behaviour or whatever gear they had with them, he might make several passes underwater, gradually coming closer and into eye contact with them. With confident swimmers he would often respond rapidly to a burst of energetic swimming or duck-diving, whilst with more nervous people he would tend to keep his distance and swim slowly around as if to let them get used to him. Right from the early years, though, the dolphin was noted for his boisterous actvity, with frequent leaping clear of the water both when bow-riding boats and when ‘performing’ on his own. He also tended to be playful in general, for example deliberately splashing people and dogs in open boats, and it was hard not to attribute a sense of humour to him when he crept up on seabirds and seals (which in those days were commonly seen in Dingle harbour) and surfaced right behind them, much to their surprise. 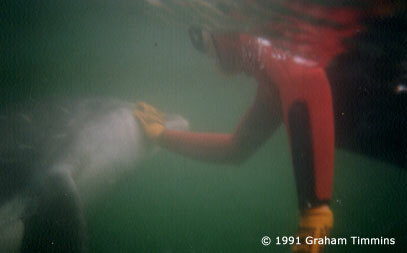 It was not only divers who initiated relationships with the dolphin. 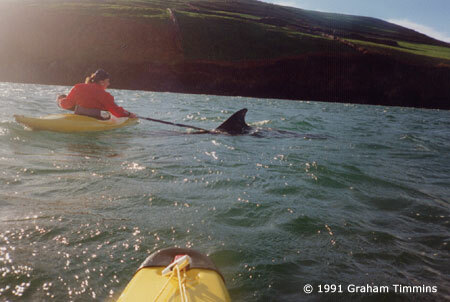 A crucial role was also played by kayakers, foremost among them Adrian Devlin and Mary McGillycuddy, who pioneered this form of human-dolphin interaction with Fungie during a two year period from summer 1987, during which they used to travel to Dingle nearly every weekend from nearby Tralee. Kayaking is in many ways ideally suited to interacting with dolphins: the kayak is of the same size and similar shape to a dolphin, it is much faster and more manoeuvrable on the surface than an unaided swimmer or diver, and in the hands of a skilled exponent becomes an extension of the human body rather than an inanimate vessel such as an ordinary boat is. The kayaker also stays drier and warmer, in general, therefore can stay out longer, and has a better view of where the dolphin is and what is going on all around. Mary was at first nervous of the large and boisterous dolphin, while Adrian was much bolder, but soon the two of them had developed a repertoire of games. These included ‘surfing’ in the pressure wave created by the dolphin, a trick likely to end in a sudden capsize if they weren’t ready when the dolphin would suddenly shoot off at 90 degrees with a flick of his tail. 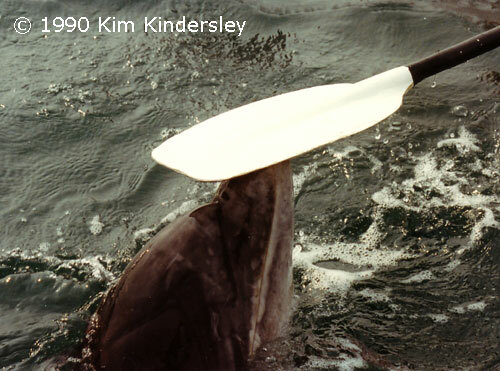 Another way of initiating interactions was to tease the dolphin by flickering the blade of the paddle across the surface of the water. This might lead into a tickling or scratching session, or most strangely of all, to a routine where the dolphin would use his beak to push the paddle vertically up out of the water, often to a height of a metre (3 feet) or more. Most commonly the dolphin favoured a long slow scratch along his flank as the kayaker paddled along steadily, and he would position himself accordingly for this treat. At this time the dolphin did occasionally carry around fish he had caught and sometimes brought them to the boat or to people in the water, although we never saw him throw fish into a boat. On a couple of rare occasions in the early 1990’s we did actually see him bring a fish and give it into someone’s hands (in one instance it was Keith, a confirmed vegetarian, who was presented with a fine sea trout!). However, we never saw him carrying or retrieving other objects – and plenty of diving masks and fins were lost over that period! Nor did he play with seaweed or other natural flotsam, as other dolphins (such as Dusty) have done. 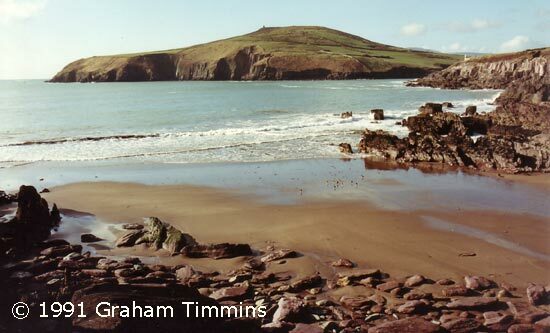 Up until 1989, dolphin swimming in Dingle was mainly a summer holidays phenomenon, apart from the weekend divers mentioned above. 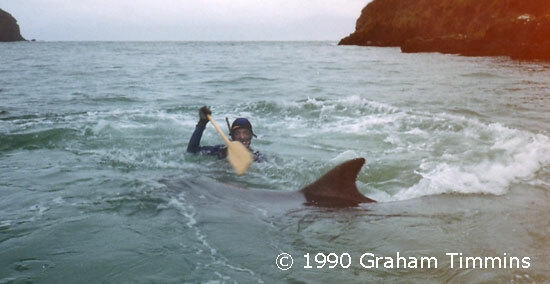 There were not really any people living locally who were swimming regularly with the dolphin over a period of weeks and months, although quite a few visitors from other parts of Ireland and from the UK were making frequent short trips down to Dingle even from 1988. They were all having a ball, but it was different each time and at that stage few people apart from Sheila Stokes could fairly claim to have established a regular pattern of relationship with the dolphin. This started to change in 1989 when the first people such as Siobhán Daly from Cahirciveen and Alfie Hughes from Cork decided to stay in Dingle specifically so they could swim daily with the dolphin, and from that time on, there was a steady trickle of mostly young people coming to this little place on the edge of Europe just to hang out with a wild dolphin. Some stayed for months, some for years; many became part of a unique community of self-confessed dolphin nuts. Whatever else has united, divided, inspired or frustrated us over the years, I think we have all shared the same feelings of deep appreciation for the remarkable privilege we have been lucky enough to enjoy in encountering the Dingle dolphin. It’s been a remarkable story – and it’s not over yet! Anything to add to this account or to correct from your own personal knowledge? Mail the editor here!